that travel knitting during my commute to and from school has changed my life. I used to mope around because I'd always wanted to be knitting but I never had the time to get anything done. There never seemed to be enough time in the day to go to school, finish all of my homework, run all of my errands, complete all of my chores, make sure to eat, and knit. I was also afraid to knit in public because I don't like to draw attention to myself and I didn't like the looks I got when I, a 20 year old woman, pulled an unfinished sock out of my purse, rather than my cellphone, and started knitting on it. I got over that pretty quickly and oddly enough being able to knit on the bus without fear or hesitation makes me feel kind of brave. I bought this sock yarn sometime between 2012 and 2013 when I worked at JoAnn. It was so beautiful that I just had to buy it. It was actually the first sock yarn that I'd ever bought and my Mom's favorite color is purple which made it the perfect yarn to knit a pair of socks for her. I bought this yarn from a thrift store called "National Council of Jewish Women" when I lived in Los Angeles. It was sold in a bundle which included two skeins of this lovely blue and two skeins of the green, brown, and blue self stripping yarn which I used to knit the socks listed next. I loved the colors but I didn't like working the darker speckled stripes. The yarn which was otherwise totally consistent in size, became really unevenly bulky over those stripes and ended up making my stitches look irregular and kind of funky. These socks were gifted to a good friend of mine. These socks, as mentioned above, were also knit from yarn purchased at the NCJW thrift shop in LA. The yarn was a lot thicker that your typical sock yarn. It was a DK weight yarn which made these socks extra thick and warm but not bullet proof. 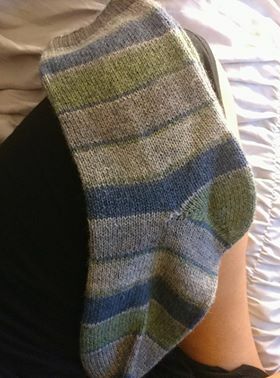 These socks were originally going to be for my Dad, but because I decided that I wanted to knit an extra long cuff (And because I didn't have enough yarn to knit for his giant feet), I ended up making then for my younger cousin instead. These baby socks were knit from the yarn I had leftover from my Mom's Mermaid socks. 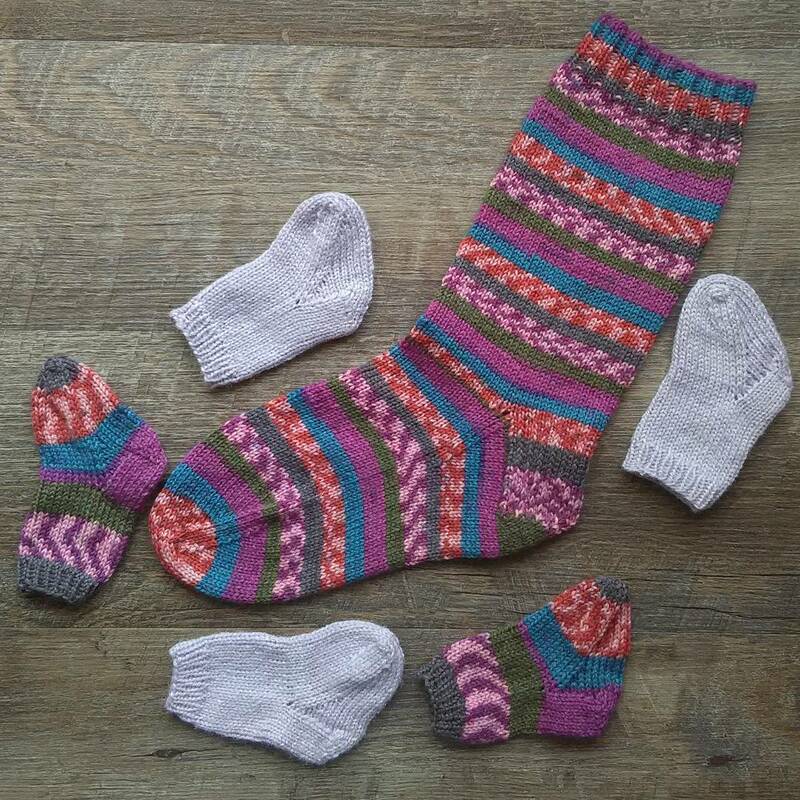 These socks were knit using my pattern 'The "Perfect" Baby Sock', which is a free pattern that I released earlier this year (be on the lookout for a video tutorial detailing how to knit the sock step by step in the near future). These socks were going to be a gift for a former co-worker of mine's new baby girl, but I accidentally left them at my brothers house and by the time I got them back the baby was no longer "new" and could not fit them. So for now they sit in my drawer of gift knits that have yet to be gifted. These socks were knit out of a christmas-y yarn that I also bought when I worked at JoAnn. Funny story, The first time I knit with this yarn I knit a sock. Just one sock. 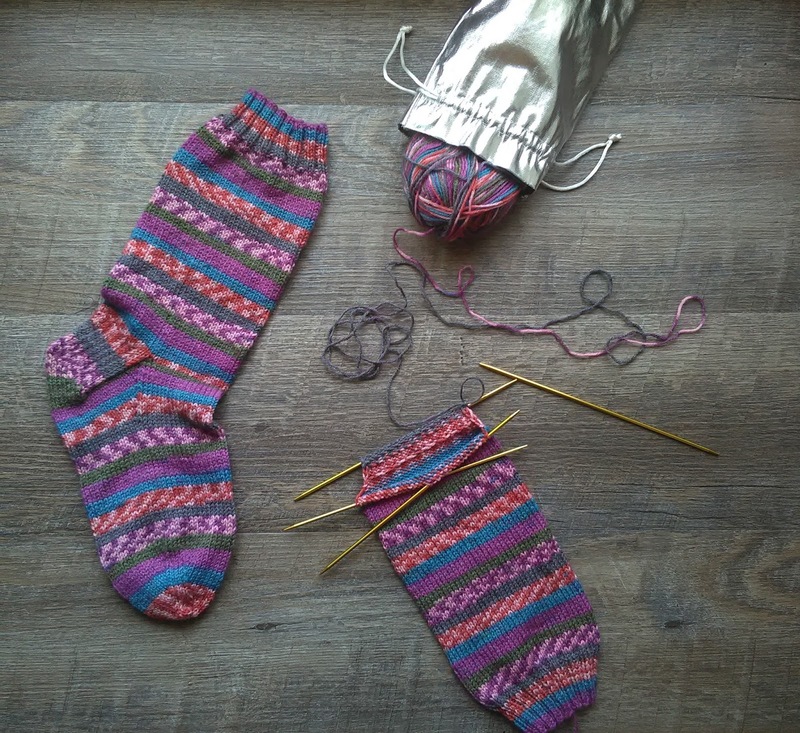 I was a beginner and I had planned to knit a pair of socks for myself, but after reading the pattern I just could not believe that such a small number of stitches on such tiny needles would be able to fit my feet, so I took it upon myself, again as a beginner, to add as many stitches that I thought necessary. As I'm sure you can imagine, the sock turned out to be humongous and is now sitting in a chest in my bedroom as a reminder of how mistrusting I used to be of sock knitting patterns for women. I have large feet. Anyway, I knit these socks for my step mom and my plan is to give them to her for Christmas this year. 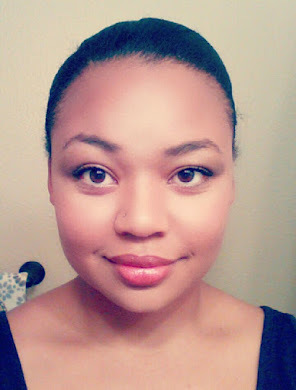 First off, Let me just apologize for the poor quality of this photo. I took it at night at the last minute before it was gifted. This yarn was purchased on clearance either at JoAnn or Hobby Lobby. These socks were knit using a very basic or "Vanilla" sock design. For the heel of this sock, I attempted the Fish Lips Kiss heel, and failed. For some reason I'm unable to make sense of the directions, and I know the issue is on my end because so many others are able to knit it with no trouble. Oh well. Hopefully one of my knitting friends will be able to help me figure it out. I knit these socks for my boyfriend and he loves them. Fun Fact: These socks are the first hand knit Items he has ever received. I didn't actually like this yarn at first sight but I bought it anyway because it was on clearance and I figured I could use it for gift knitting. Someone would like it. I cast on with it because I had nothing else in mind that I wanted to knit at the time but felt like should be knitting something to meet my goals. After about five rounds of knitting I became completely infatuated with color and design that this yarn created and I found myself knitting on them any chance I could because I could not wait to see the end result. I call these my 90's Dad Socks because they remind me of the crazy colors and patterns that you could find on sweaters in late 80's early 90's. Sweaters that all of our Dad's wore. ALL OF THEM.